Delhi Chief Mnister Arvind Kejriwal tweeted, "Whereas we don't wish to interfere in day to day functioning of private hospitals, however, open loot or criminal negligence by any hospital won't be tolerated. We won't hesitate to take strongest action in such cases." The Aam Aadmi Party government in Delhi on Friday cancelled the licence of the Shalimar Bagh branch of Max Hospital with immediate effect for alleged medical negligence. 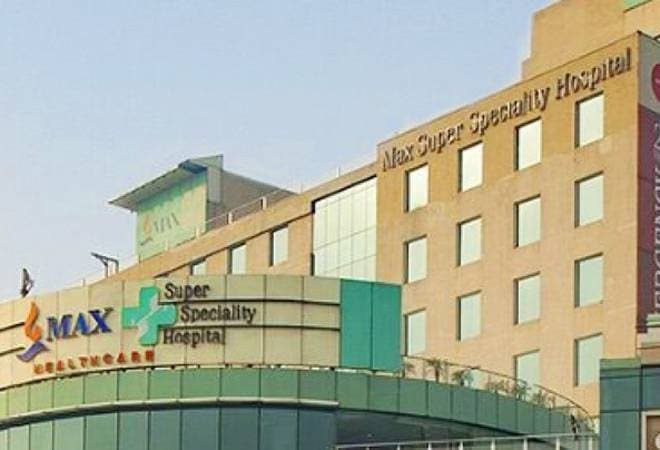 The Shalimar Bagh branch of Max Super Specialty Hospital was earlier in the news when newborn twins were declared dead by the doctors and were handed over to the family. The family, however, found one of the babies alive on their way to the crematorium. The infant was then taken to a nearby hospital and an FIR was filed against the hospital. Accusing Max hospital of being 'habitual offenders', Delhi Health Minister Satyendra Kumar Jain, while addressing the media at a press conference, said, "Delhi government has cancelled the licence of Max Shalimar Bagh hospital. We've found negligence on their part in the death of the baby. This is not the hospital's only mistake. They are habitual offenders." The move came after a three-member inquiry panel of the government submitted its final report to Health Minister Satyendar Jain, who described the incident as 'not acceptable'. According to the Directorate General of Health Services (DGHS) of the Delhi government's heath department, the licence has been cancelled until further order. In the order issued by the DGHS, the keeper of the hospital has also been directed to "refrain from admitting any new indoor patient and stop all outdoor treatment service in the premises with immediate effect". "Three notices had been issued to the hospital over lapses involving the EWS (extremely weaker section) quota patients and dengue fever beds. The action taken is in continuation of effect of previous notices," Jain said. Kejriwal had recently said that his government did not want to interfere in the functioning of private hospitals, but will not tolerate "criminal negligence", he told reporters. "The (Max) hospital cannot admit and treat new patients, which means the the hospital's billing function is not active now. They continue to treat admitted patients," Jain said. Asked about the doctors' negligence in the twin baby case, the health minister said the Delhi Medical Council and the Medical Council of India are competent authorities to take action against doctors. The DGHS in its order also said that "indoor patients admitted prior to the issue of this cancellation order shall be given a choice by the keeper of he hospital to continue their indoor treatment in your (Max) hospital or to be transferred/shifted to another hospital of their choice." Jain had recently said that on November 22, a notice was sent to the Max Hospital for allegedly violating norms related to services to be given to EWS patients and use of dengue fever beds. The three cases (twins, EWS, fever beds) were clubbed based on which the final action was taken. "I have directed the hospital authorities that they can give offer to admitted patients to shift, otherwise they can continue to get treatment at the hospital. "This is not the only mistake by the (Max) hospital. They have done three mistakes within a span of two-three months," he said. Jain on December 6 had said that based on the final report of the probe "strictest action" would be taken. The Max Hospital case pertains to one of the premature twins, wrongly declared dead last week at the hospital where he was born, and who died during treatment at a nursing home in Pitampura a week later. Both the babies were declared stillborn by the hospital and handed over to the family allegedly in a polythene bag. But to their utter horror, the family found that the boy was still alive, while they were on way to do their final rites.